From Hanoi, on the highway No1, you pass the Gian Khau bridge then turn right and follow the big asphalted road on the dike along the Boi river to Bai Dinh Pagoda. From Bai Dinh follow the big concret road with 26 km to the park. With your own transportation: Arrived Ninh Binh City then follow the road to Bai Dinh pagoda (15km), via Trang An world heritage, continue to Bai Dinh pagoda. From Bai Dinh to the park (26km), take the road behind the parking of Bai Dinh then follow the big concret road to the park. Buses leave Giap Bat (Southern Bus station of Hanoi) for Nho Quan (nearest town) at 8:00 a.m., 9:00 a.m., noon, 13:00 p.m., 15:00 pm, 16:00pm, and leaves Nho Quan for Hanoi at 7am, 8am, 11am, noon, 1pm, 2pm, 3pm. Tickets are available at the counter. 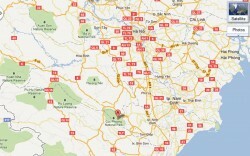 From Nho Quan to park headquarters, take a taxi or motorbike taxi (Xe Om). Travel time: 2.5 - 3.5 hours. Tour arrangements can be made through Handspan Adventure Travel, Exotissimo Travel and Buffalo Tours among other agencies. Travel time: 2.5 - 3 hours. 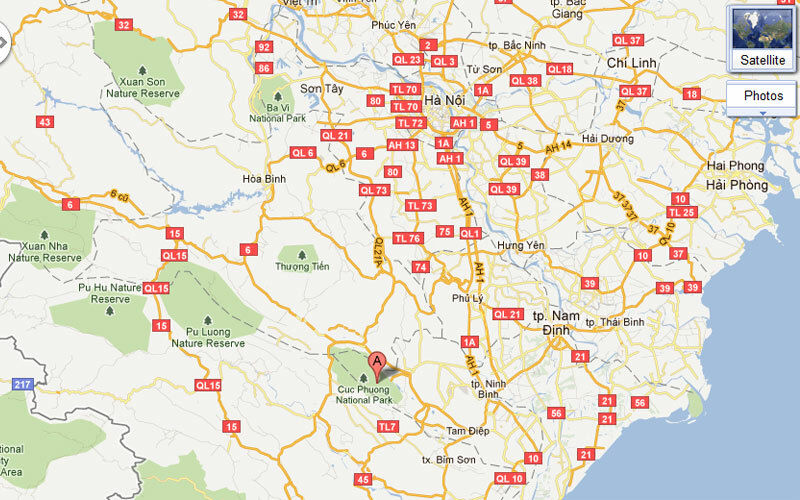 From Ninh Binh to park headquarter, take a motorbike taxi or hire a car or hire a motorbike. Travel time: 1 - 1.5 hours. 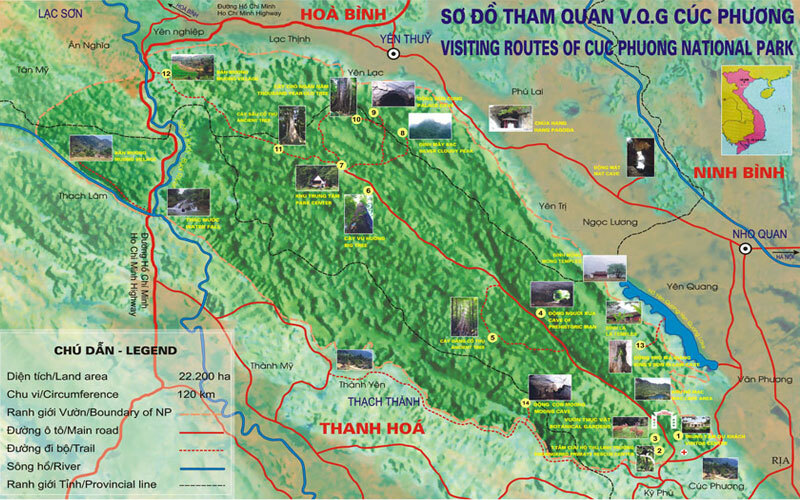 The bus leaves from the headquarter of Cuc Phuong National Park at 9:00am for Southern bus station of Hanoi (called Giap Bat station) and returm from Giap Bat station back to the park at 15:00pm, just come to the parking place and look for a red bus with number-plate 35B 00837, mobile is (+84)988.118.215. Travel time: 2,5 - 3 hours. Private Car: Contact us directly by telephone or email. We can arrange everything for you!